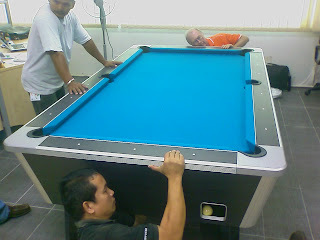 TMS Sports club decided to get a billiard table for the office to let everyone chill out after work. It was an exciting day for all. 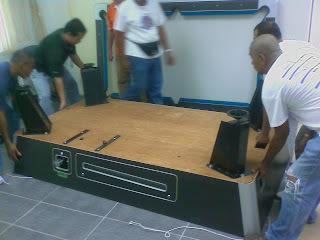 The club was planning to rent the table, but after some quick calculation, it made sense to actually buy a second-hand table... LOL. 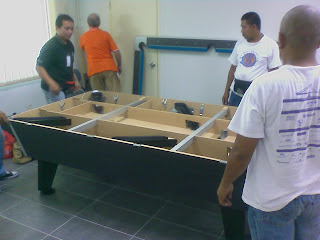 The legs were installed to the base of the billiard table first. 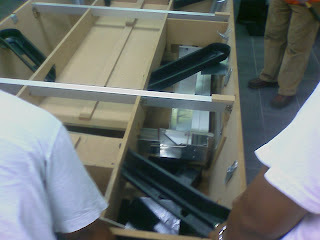 It had to be brought into our office in several large pieces. 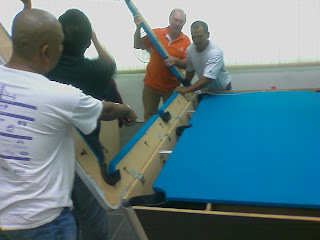 After installing the legs, the table was placed upright in the allocated space ensuring enough space to cue the balls. 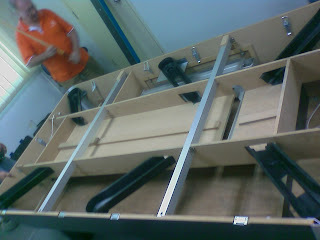 The interior mechanism of the billiard table, seldom view by all, collecting the pocketed balls and directing them to the proper tray to be reloaded again. 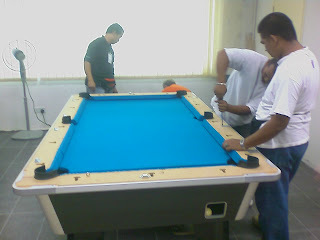 Another view of the billiard table's interior. 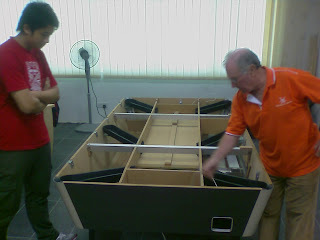 The mechanism were aligned to ensure that no pocketed balls would get stuck. 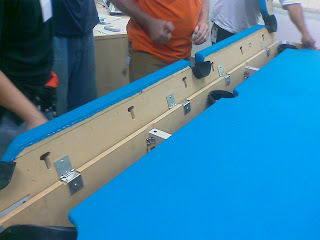 Damien looking on as the table was being adjusted. 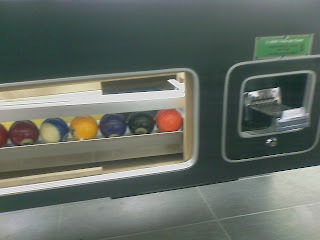 View of the billiard balls and the coin-slot. 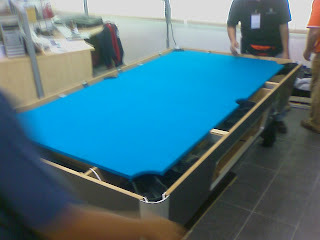 The heavy slate playing area was aligned and laid on top of the table. 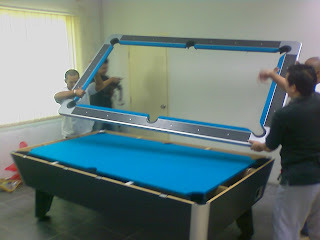 The final piece of the pool table, lining and side cushion, being brought over to the table. Took 4 person to carry and position the cushion on the table. 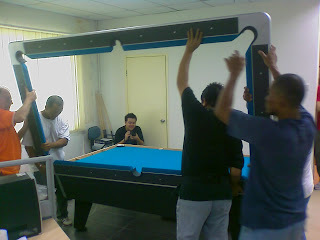 The cushion top being align to the billiard table. The cushion lining's hinge were screwed in place. 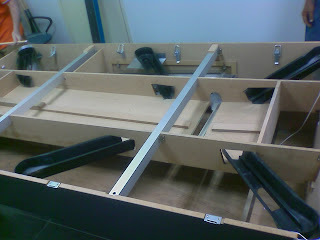 The covers of the cushion lining were removed and the top was fastened with screws to secure the top to the table.